Different types of pleating allows choice in the pleating of various tartan setts. There are essentially two main styles of pleating for kilts, knife edge pleating and box pleating. Box pleating is an interesting and rare type of pleating, sometimes used by the military regiments e.g. the Seaforth Highlanders. It has a striking effect and is less mobile than the knife edged pleat, therefore more suitable for ceremonial occasions. Box pleats are a double pleat having two upper folds facing in opposite directions and two under folds pressed toward each other. 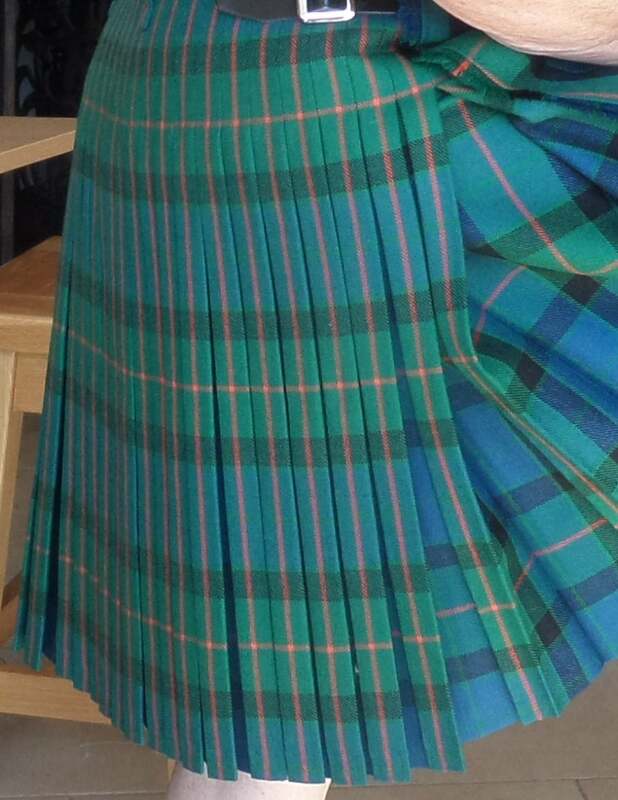 There are a number of methods that can be used to make a box pleated kilt, the most common is a knife pleat, folded back on itself (as shown in the image to the right and below). 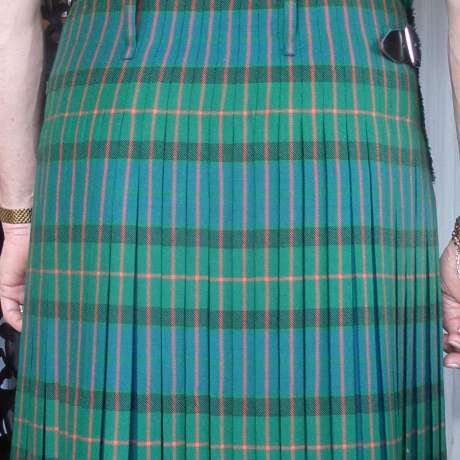 Generally box pleated kilts are pleated to the stripe. The Askival of Strathearn Military Box Pleated Kilt is fully tailored, hand stitched and made to measure. The military box pleated kilt is a rare and impressive kilt, hand crafted with skill and precision, paying due care to the detail, shaping and fit to create the perfect garment. The military box pleating is highly skilled and rare technique. It creates the box pleat detail to the vertical line or horizontal band. 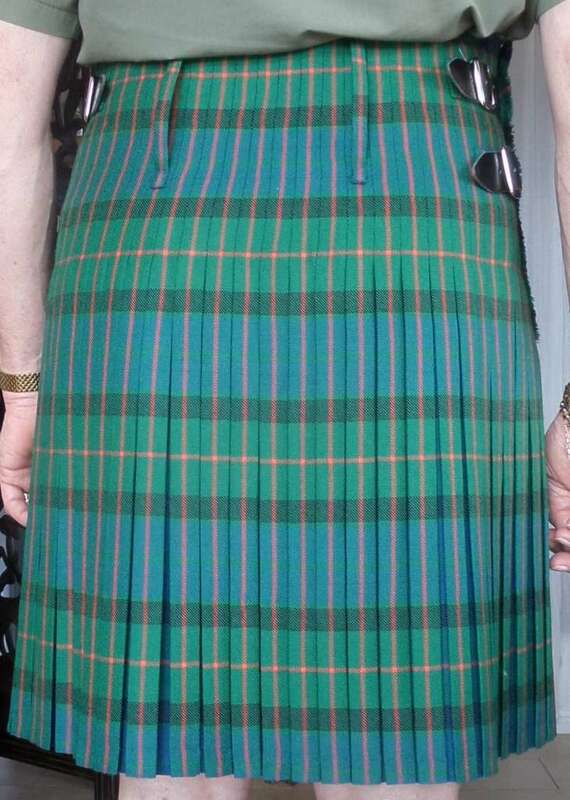 The Rare Tailored Military Box pleated Kilt in the Gunn Tartan. 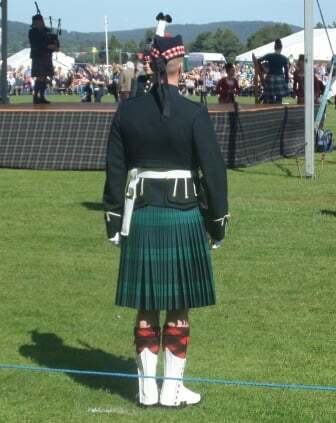 The Military Box Pleated Kilt, pleated to the stripe. Sadly, a rare style of pleating as it is more complicated and time consuming to construct but the final impact is wonderful and worth the time and focus. 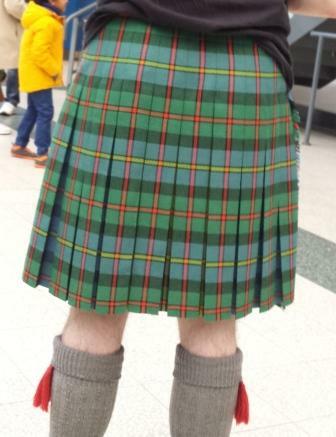 The first kilts were untailored length of tartan worn gathered and belted at the waist. But by the 1790s kilts were being made with the pleats sewn down from waist to hip. These first tailored kilts were made from around four yards of cloth, and box pleated.